Welcome back to the mountains of Western Maine. 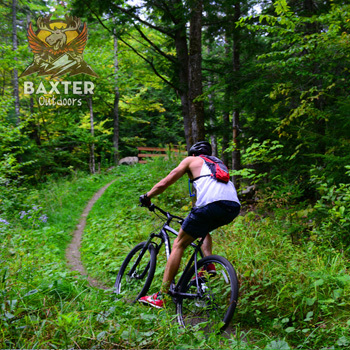 For our fourth summer in Carrabassett Valley, Baxter Outdoors and Maine Huts & Trails are bringing back the MH&T Backwoods Duathlon. This 25km Mtn. Bike/Trail Run combo can be tackled either solo or as a team. The course will focus on the Maine Huts & Trails network surrounding the Stratton Brook Hut, including a 10km trail run leg followed by a 15km mountain bike leg. Both segments will take place on a combination of the Narrow Gauge Pathway, Crommet's Trail, and Newton's Revenge, with the MTB leg descending the Oak Knoll Trail. There will be a 20km duathlon course which will repeat the 10km loop on run then bike, for any athletes over 60 y/o looking for a slightly shorter bike course. 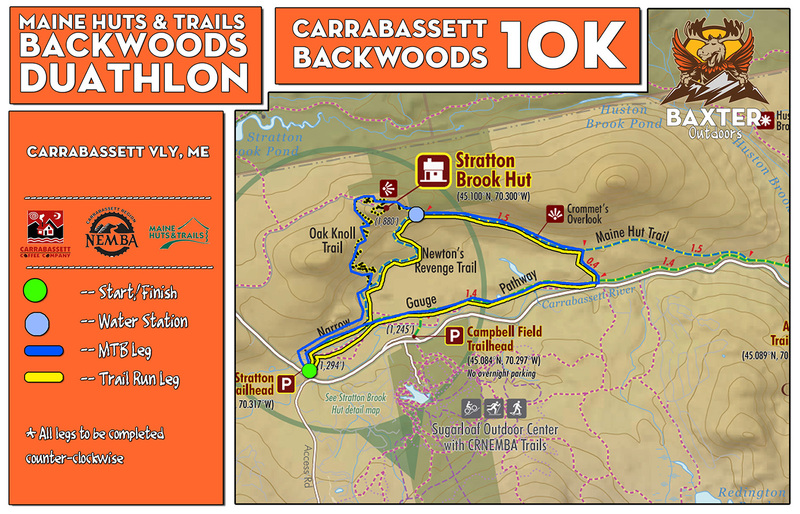 Come join us in Carrabassett Valley on August 10th for a great race on some of Maine's best terrain! This course is designed for intermediate and expert athletes. On both the trail run and MTB section, racers should expect moderate, sustained inclines coupled with footing typical of Maine's forest. Roots, stumps, mud, and rocks, should be expected (though not always present) at all times. Mountain Bikers descending on Oak Knoll should have experience with downhill mountain biking. Due to the length and remoteness of this course, racers should have experience with a course of similar intensity.